​EMDR is an acronym for “Eye Movement Desensitization & Reprocessing. It’s an approach for dealing with traumatic memories that have not been emotionally-resolved or completely processed by the brain. Brainspotting is an approach developed by David Grand, PhD (a leading EMDR practitioner) and is considered by many to be an advance in EMDR. Both are known for involving some form of bilateral or left-right stimulation — either eye movements, tactile pulsars or alternate-ear auditory recordings. The Brainspotting approach uses tactile pulsars or auditory recordings to provide the bilateral movement while finding an eyespot or brainspot somehow connected to what’s being focussed on and which will enhances processing. Why the bilateral stimulation? Dr. Grand explains in his recent book Brainspotting, "The left side of the brain controls the right side of the body, and the right side of the brain controls the left side of the body. Our left brain thinks, uses language and solves problems. Our right brain is intuitive, emotional and involved in body functions. When we are overwhelmed with emotion and can't think straight, our right brain has taken over. When we are overly analytical and cut off from our emotions, we are stuck in our left brain. But when we are feeling integrated and performing well, our right and left brains are interacting with each other effectively." The same basic principles guide both EMDR and Brainspotting. When we experience an emotionally-intense, frightening event, it may overwhelm us. If that overwhelm does not naturally resolve, the experience gets ‘stuck’ in the central nervous system leaving us overly-sensitive and overly-reactive. It also then diminishes or distorts our sense of self. EMDR and Brainspotting jostles those stuck memories so they can resume being naturally processed and seeks to repair and strengthen our sense of self. 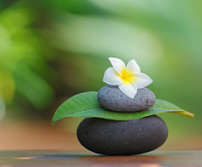 In the end, you will still have the memories, but they will no longer be as upsetting; you may still have present-day situations which are challenging, but they will no longer be triggering; rather situations will feel more manageable because you will feel more grounded, balanced and empowered. Although both EMDR and Brainspotting are best known for resolving traumas and addressing PTSD-like symptoms, they are now being applied to ease anxiety, depression and addictive behaviors. Most recently, and in concert with positive psychology, they also being applied to enhance peak performance and boost self-confidence and concentration. Ms. Carboni is trained and certified in both EMDR and Brainspotting. She was one of therapists who studied early on with Dr. Grand and was one of the charter trainees in Advanced Level II Brainspotting. She is also trained in "Brain Gym", a program of bilateral body-movement exercises designed to improve children's learning capacities. For further information: visit www.Brainspotting.pro and refer to Brainspotting: The Revolutionary New Therapy for Rapid and Effective Change, by David Grand, PhD. Also, visit www.EMDRIA.org and refer to Emotional Healing at Warp Speed: The Power of EMDR, by David Grand, PhD, and also for Brain Gym, refer to Educate Your Brain, by Kathy Brown.